Mine 5 julekort favoritter i 2014.
fra 2014 som vi er mest fornøjede med. bare måtte med på min top 5 julekort-liste. med link til det oprindelige indlæg. 5 april dette kort med en-for mig -ny 'Tilda in Evening Dress'. I Juli lavede jeg dette foldekort med endnu et Magnolia motiv. hos norske My Besties. Udfordringen hed 'Bruk Glitter'. de få gange jeg har været GDT. et LOTV motiv og en super sketch fra Papertake Weekly Challenge. Jeg har brugt den sketch flere gange. Dette House Mouse kort fra 10 november afrunder min top 5 for 2014. Motiverne fra HM er og bliver mine ynglings motiver. listen, men fem er fem, og her er de. Jeg er med i en gruppe fra Scrapsisters som sender kort til hinanden. til en i gruppen, årets sidste kort på bloggen. små feer, papiret er fra Maja Designs sommerkollektion 'Coffee in the Arbour'. Lidt befriende med sommerfarver midt i al julehalløjet. Jeg har brugt denne sketch fra Sketch Saturday som udgangspunkt. Z for Zebra, a DT project for ABC Christmas Challenge. and thus the last ABC Christmas Challenge in 2014.
of my lovely christmas cards from a dear friend of mine. and use it for a Christmas project. Thanks a lot hun, how could you know that Henry was my first love! with papers from Maja Design and Angle Henry Mouse from WOJ. I have added a lot of Stickles on to Henry's wings and holy. hopefully the new detective novel from Jussi Adler Olsen. Sponsor for the Z challenge is Bugoboo Stamps. 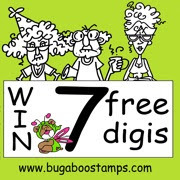 One lucky winner will winn 7 digi images. tonight is Christmas Eve in Scandinavia where I live. 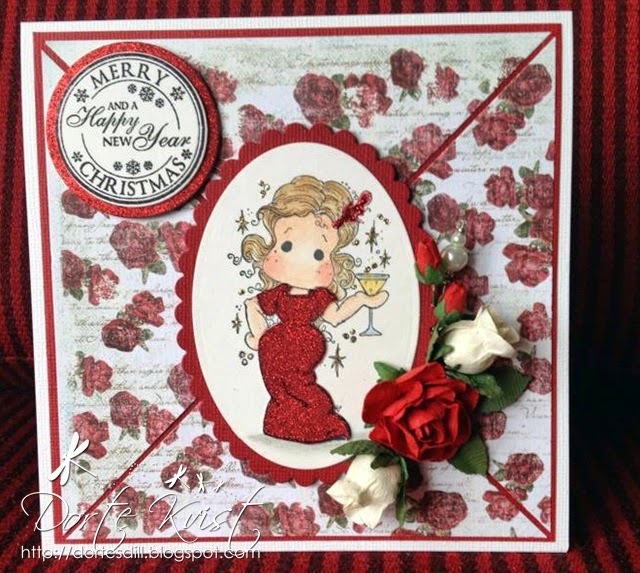 Anything Goes, DT card for Stamp and Create with Magnolia. of the year at Stamp and Create With Magnolia. The only thing you have to do is to use a Magnolia image. It's a pocket card with papers from Maja Design. Flowers, charms and ribbon are from my stash. and I hope the recipient will like it too. Y for Your Family, DT card for ABC Christmas Challenge. Y is the letter and Lorraine is today's host. I have made a 'Happy New Year' card for our oldest son. so perfect for the occasion. right colour for the stars, so I used a lot of Stickles instead. The sentiment is from LOTV and pearls from my stash. The usual backside, like the card design. and even digital cutting files. Final Challenge of 2014, House Mouse & Friends Monday Challenge. Eeeek!! Welcome back House-Mouse Lovers. Can you believe that another crafty Year is almost over? Time sure flies when you are having fun, heh? also have the alternate theme of 'ANYTHING GOES' too! will be our Last Challenge of 2014 and it will run all the way through January 3rd, 2015.
from not 1, not 2, not 3, not 4 BUT 5! Yes, 5 Wonderful Sponsors! Please visit the HM&FMC blog to find our who our five wonderful sponsors are. with some beautiful papers from LOTV. At the backside the same design. so hop on over to the HM&F Monday Challenge to see them. the New Year with a New Challenge and NEW SURPRISES. danske forum 'Scrapsisters', hvor vi sender fødselsdagskort til hinanden. I dag fylder 'Moster Olivia' år og her er kortet som er sendt til hende. egner sig godt til kortdesignet. stemplet som er fra House Mouse og papir fra Maja Design. længe at jeg har glemt hvor det er fra. X for Xmas Music, DT card for ABC Christmas Challenge. My card is made with a super cute image from Stampavie. I have borrowed the stamp from a friend of mine and I'm not sure what it's called. The papers are from Fabscraps and the sentiment from LOTV. but the metal adapter makes it a lot easier. As you might notice the picture of the cards back side is missing today. finish that part of the card. With a prize of 2 digi images of winners choice. Add A Little Sparkle, Midway card for HM&FMC. as I used for my card last Monday- 'Holiday Merriment'. The paper is also the same, it's from Fabscrap. I've added Stickles onto the wings. prize will be a surprise. Happy Hopper image and add some sparkle. 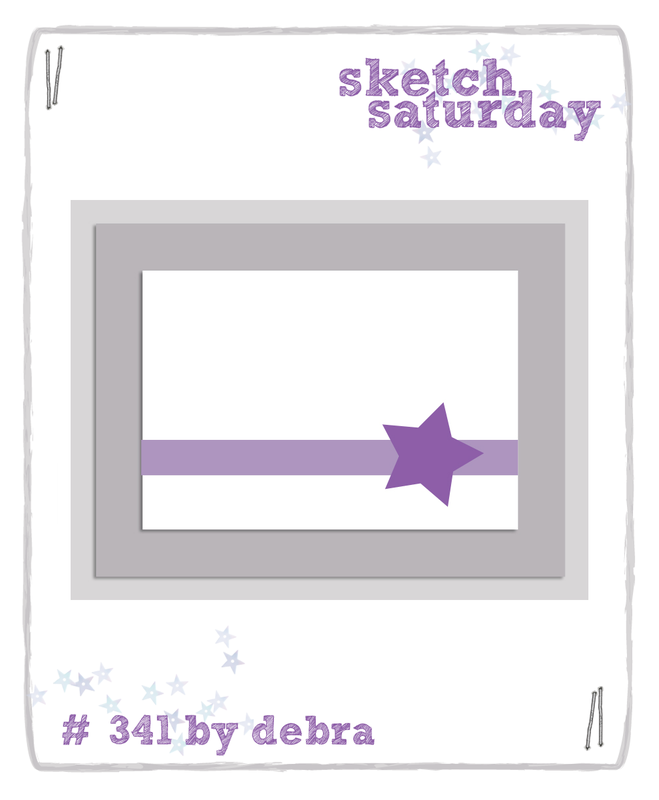 A Gift, DT card for Stamp and Create with Magnolia. Make a gift, or use an image with a present. I have made a shaped card using a wonderful Spellbinder die. The image is from the 'So Jolly' collection, it's called 'Tilda With Gift'. The paper is from My Mind's Eye, lovely colours, I think. Bling and flowers are from my stash. Stamp and Create with Magnolia Blog. men bare aldrig har fået blogget. Det ene kommer her. dernæst er den hvide udskæring monteret på 3D puder. Og bagsiden med mit 'håndlavet af' stempel.